While predictions for the forthcoming riding season are not as upbeat for motorcycle dealers as many were hoping at this point in the year, there is one positive segment, however, and that has been SxS/UTVs. Motorcycle sales have been relatively stagnant over the last few years with the numbers hovering around 500,000 units per year, according to the Motorcycle Industry Council. Before the economy took a nose-dive in 2008, motorcycle sales saw a peak of more than 1 million units, and UTV sales were barely on the radar at the time. Today, the roles have almost reversed with UTVs selling more than 300,000 units per year alone. MPN columnist Seth Woolf, a research analyst who covers powersports for Northcoast Research Partners, says that the ORV market has been showing positive signs lately. “UTV demand was the strongest we have seen in quarters.” Even with the unfavorable weather in early spring, he says people are “feeling upbeat” about the market. And more crucially, the bad weather was not enough to slow down demand for these vehicles. The sport segment brought higher values on average than any time in the past four years, according to NADA. The utility segment was not quite as strong but holding steady. Higher depreciation is something NADA says dealers will want to keep an eye on for the rest of the year. Pied Piper recently released results of their first ever UTV study and found that there are some key areas that dealers can focus on when selling these vehicles. The study measured treatment of UTV shoppers who visited a dealership in-person, with rankings by brand determined by the Pied Piper PSI process. O’Hagan noted that on average, salespeople ask for the sale about one-third of the time and ask for customer contact information to follow up about half of the time. 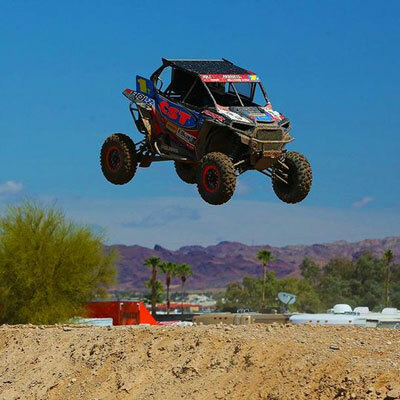 “The best advice for any UTV dealer is to own your own sales process and hold your sales team accountable for following the dealership sales process with any customer willing to spend time at the dealership,” O’Hagan said. Ask about the customer; sell the dealership. Learn why the customer is in your dealership. Confirm that the customer has come to the right place. Involve the customer; sell the product. Do all you can to involve the customer rather than just talking at them. Have them sit in a vehicle, take it for a test drive, point out specific relevant features and benefits. Get contact information and follow-up. About eight in 10 customers will not buy on the spot, but they will buy later and will influence others who will buy. Follow-up with customers to be helpful. O’Hagan notes that the PSI evaluations measure over 60 different sales steps and that each dealership should focus first on whether their own processes are being followed. On the accessory side, the aftermarket is starting to pay more attention to UTVs. Some traditional motorcycle aftermarket companies are moving into the segment to offer accessories for UTVs. With the current iteration of sport side-by-sides boosting the horsepower through the use of turbos, the need for stronger parts and performance work has increased exponentially. SxS customers are willing to spend money on accessories because the whole family can ride together. Ron Seidner of Bert’s Mega Mall told SEMA News that more and more customers want a customized SxS and they are driving their sales. He says that some of these custom creations are very simple add-ons, while others are much more involved. Keeping the purchase and installation in-house has added to the bottom line for this dealer and can work for others, too.